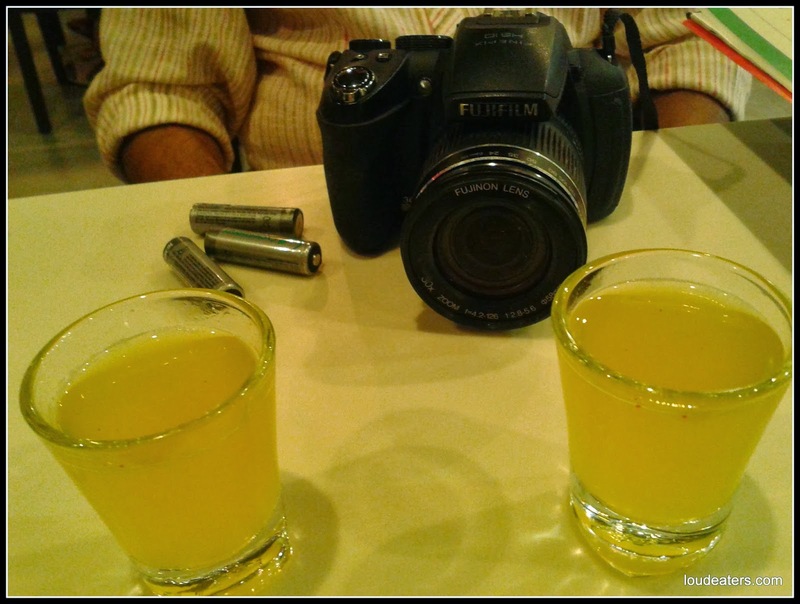 Stir Crazy at Thane's Viviana Mall is where we went food tasting recently. So the photographer and I are married now and this review is special cause it was our first post marriage restaurant food tasting visit. Ready to click and eat! This was the perfect restaurant for us to go for tasting since both of us are currently in the "healthy food" eating phase. Say no to oily, fried, sweet stuff has been our motto post wedding. The pre wedding dinners and wedding sweets were over done by us and how! Will devote another blogpost for that story. Stir Crazy does not serve deep fried food. Its all stir fried. 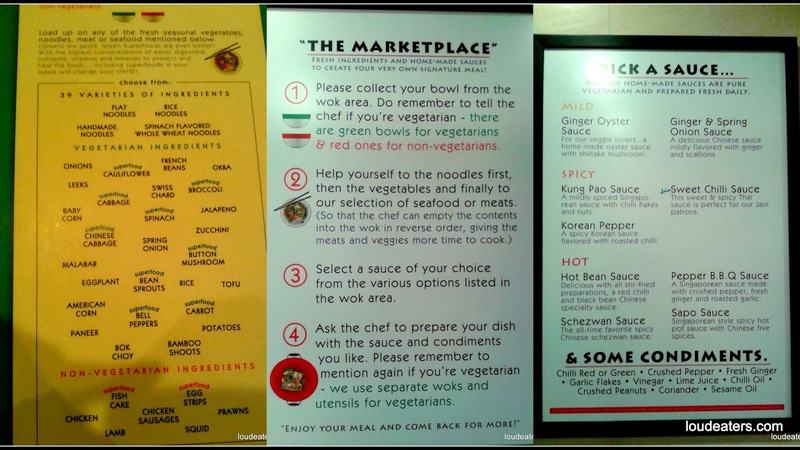 The Chef told us that the fresh, oriental wok concept is an adaptation from the Wagamama restaurant in London. 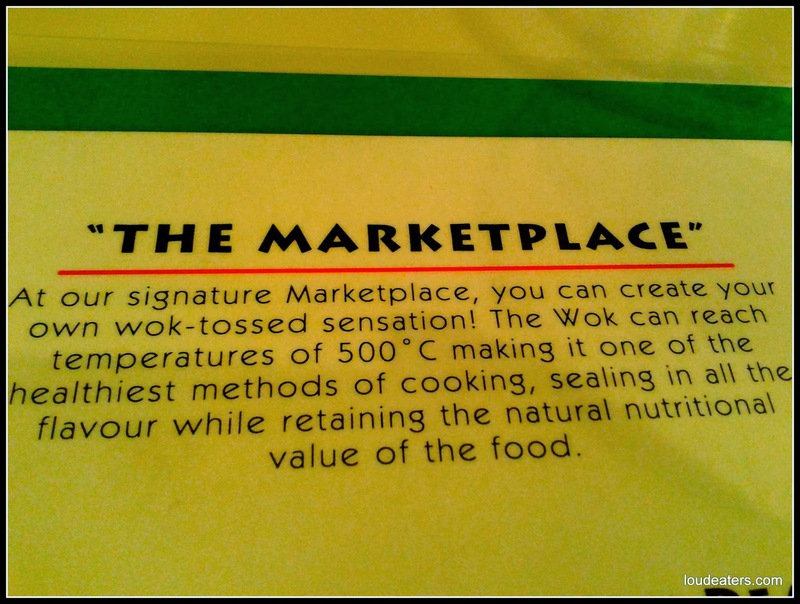 So they have this marketplace concept wherein you follow the following steps which will lead you to a bowl of yummy, filling, healthy food. Walk in here wherein all the ingredients are arranged and pick and choose the ones you prefer. I filled my bowl like this! Handover the bowl to the chef and tell him about your choice of sauce to get your food stir fried. Watch him while he does it and walk away with your bowl. I shot a video for you to see how its done! The restaurant table layout is nice and spacious wherein you can walk around the marketplace and the tables are well distanced from each other. The restaurant staff and waiters know their stuff and help you with the food choices.The service is prompt making the whole dining experience smooth. 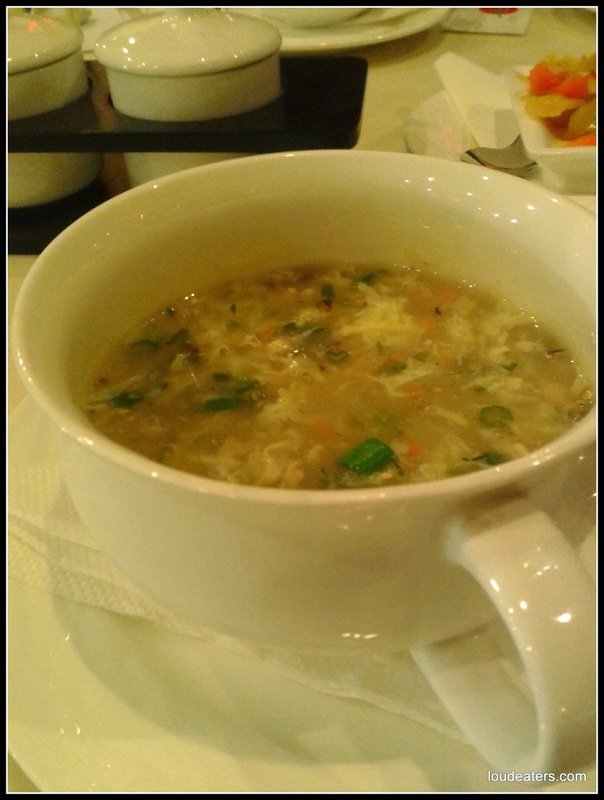 The welcome drink was too sweet for my taste but I did like the sweet and sour oriental pickle on the table. 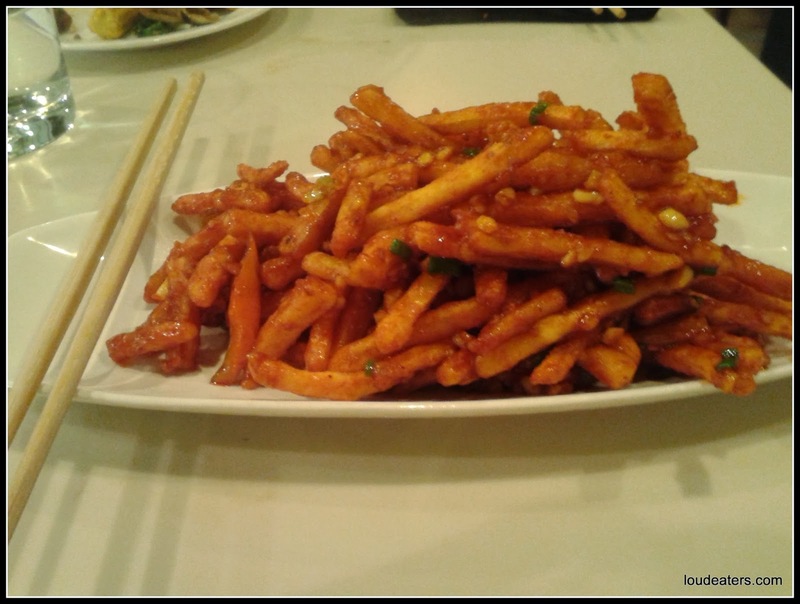 Its called Kimchi and is so delicious. 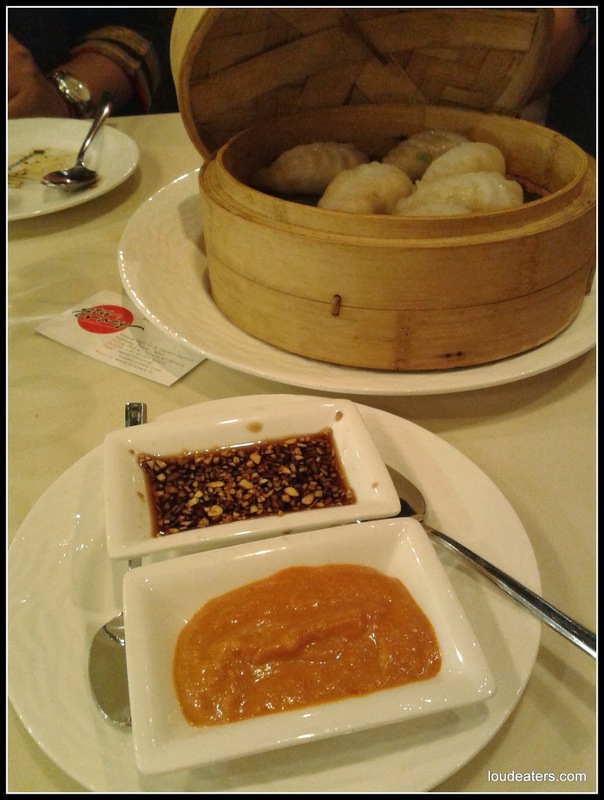 The prime mince chicken soup was well made and no sauces were required to add additional flavour.The starters that we tasted included the cantonese pepper chicken, chicken dim sums , healthy chinese greens with tofu and chilly garlic potatoes. 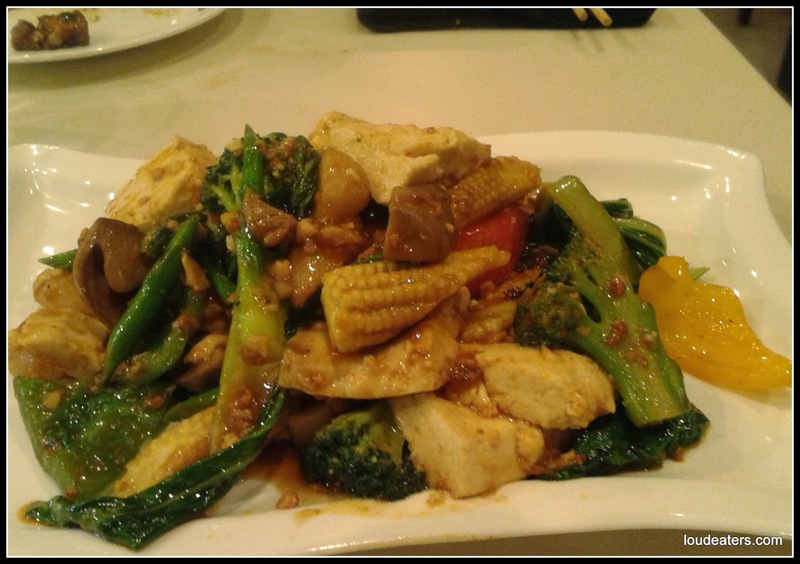 I have a thing for pepper so obviously cantonese pepper chicken was my favorite. The dim sums were prepared well though Gaurav preferred the healthy chinese greens with tofu over them. Chilly garlic potatoes could be less ketchupy and more crispy. Pictures for you. The main course dish, called the Kaukswe was some thing we tried for the first time. 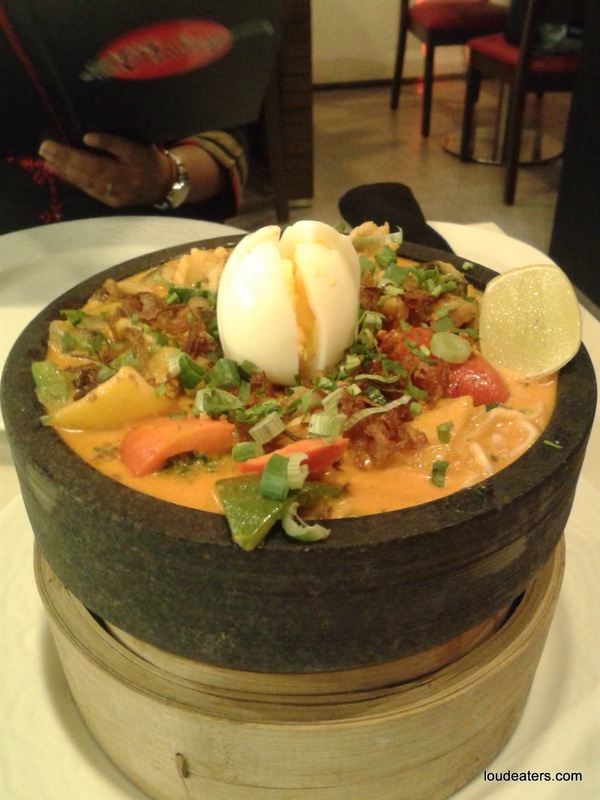 Its a Burmese style curry with noodles and your choice of meat. Served with boiled eggs I totally recommend this dish for its subtle lingering flavours. 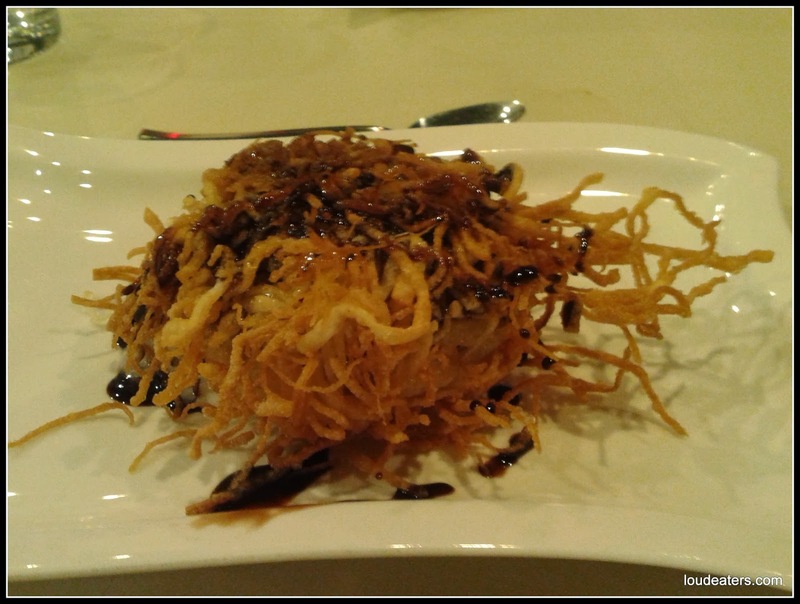 And now for my most favourite dish here- The Fried Ice cream. Yes I repeat. The fried Ice cream! For the love of ice cream everybody must try this dish. Its simply ah-mah-zing! And no you will not find it in the menu card. Order and tell them you read about it on loudeaters.com! 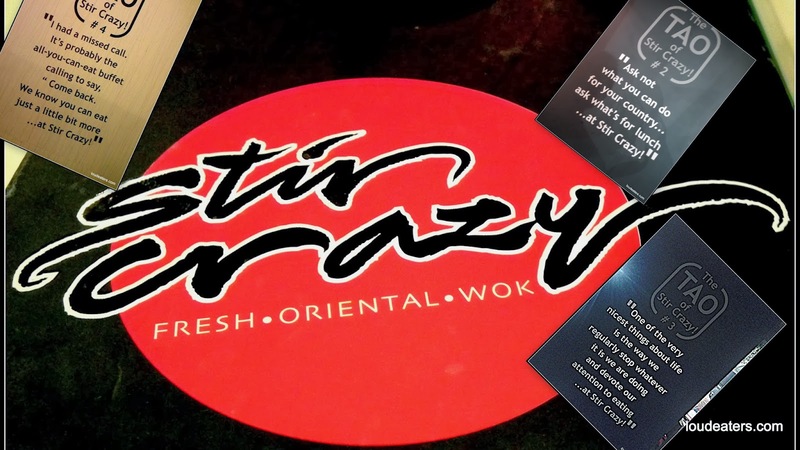 If you are looking out for a healthy, leisurely dining experience then Stir Crazy is the place! Do check it out and tell me how you like it. It's also called Khowsuey! The Burmese curry!